It's Showtime at the Apollo from LEA28, featuring the Apollo Dancers. The Apollo Dancers, a collaboration of Dancing Talent, strive to deliver some of the greatest acts on the grid. 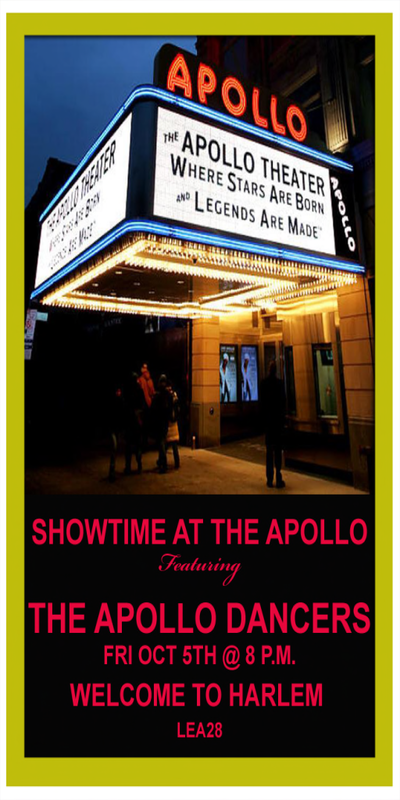 Join us at the Apollo "Where Stars are Born and Legends Are Made". Hope to see you here. Welcome to Harlem !! !